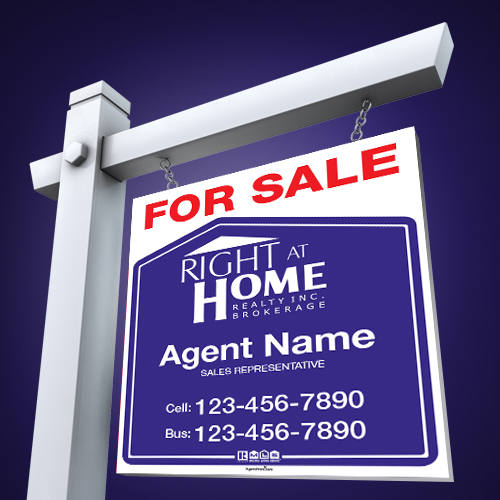 Our Right At Home "For Sale" Signs feature high-quality, full-color printing on 10mm Coroplast. Boost your sales by ensuring your property gets the attention it deserves! This Includes Name and Phone numbers. Fully Reflection: Reflective coating for the entire sign. Add a set of Durable Black Metal Post to hold up your sign. The width of the Metal Post will be the same as the Sign's width. **For Shipping of Metal Post, due to its heavy weight and irregular size, the cost of shipping will be high as it requires special handling.